63 Fifth Avenue, St Peters, Cecilia? When I first met Steve & Amelia at their home, there was a lot of Wow! About the home and we worked out the strategy….this will be highly sought after. The stylists came in and with their help Steve & Amelia transformed the home from a wonderful family home to a show piece ready for the market. It looked sensational, we took night photos, prepared the marketing material…ready to go. One group really wanted the home, but wanted a complex arrangement which we were not prepared to consider without seeing what the market would do. Subsequent inspections, we continued to have good numbers through, but no one really seemed to jump out as buyers. The comments were good, but a lot of discussion about the small ensuite and main bathroom, no built in robes to the bedrooms and the size of the bedrooms. Early days, but we’ll be ok! Another similar property was released to the market in the next street by a competitor agent, not as large, but very similar….priced to go to auction after us at $1.4m and they were openly telling people they expected a lot more. This obviously raised concerns and clearly if people were thinking that we are looking to $1.7+, this was not going to happen! After a discussion with Steve & Amelia, we removed the price & I sent messages to every person who has been through so far to alert them to a price review as the owners had found a property to purchase and so are keen to secure a sale. The reserve will be around $1.5m. The last weekend inspection was ok, but not particularly different. On Saturday night I had several very long text messages from a very stressed Steve, who clearly was uptight about how we were tracking. I had a buyer advocate who has a buyer matching the property very well and has a budget $1.5m. I got them through on the Monday before the auction. To his and my dismay she left the brochure on the kitchen bench, saying it didn’t feel right, there were too many things she would want to change. I met Steve & Amelia at his office Tuesday night, to discuss the auction strategy and answer questions. Before we started, I said that because of concerns I had, I had asked Den to have a look at the home to work out if there was other issues. Steve immediately reacted and said it was the ghost, the little girl. Suddenly everything changed……….. They were both obviously relieved that they could talk to me about something that had been happening at their home for a very long time. Steve described a little girl in a nightie appearing by the door to the WIR, quite often. She would have an effect on Steve, sometimes he felt her on him while he was in bed. He would find it very difficult to move and get out of bed. I immediately went the car to get my phone so that I could show them the text message I had got from Den earlier that day. The similarities to his story were uncanny. I rang Den to find out more and he said he would have another look to see what he can pick up? He messaged again Wednesday morning…. I encouraged Steve & Amelia, that what has happened may be enough to fix the problem. An example of that was I had phone calls from Ali and Ern Koh, asking for information regarding the upcoming auction on Thursday. We also removed the print of a girl in the front bedroom, because Steve had a really bad feeling when he saw that. Another issue was the negative effect from underground streams across the lounge and rear study, Steve & Amelia admitted that they rarely used the lounge and they had had problems with the floor in the study. Jane & I has spoken about how cold the home felt, particularly the front old section. It was clear that this girl was not happy with the changes, the strangers coming into the home, confused about what was happening and this was the cause of the bad energy. Steve made contact with a guy on Melbourne who was known to be able to clear the home of these kinds of things. He apparently just needed the address and spoke to Steve when he was at the property. He identified that the issue was with Steve, not Amelia, that it was like a father/daughter relationship. He guided Steve into the main bedroom and without knowledge of Den’s prior observation, started talking about a scared little girl in the corner of the room, who didn’t know what was happening. Steve was the person to ‘take her to the other side, to reunite her with her Grandmother. He talked Steve through this, saying at one stage to stop go back to wait for the little girl , across a bridge to the other side. This was achieved and the little girl met her Grandma and was happy again. This would clear the home! All of this happened within the main bedroom with Amelia in the kitchen. ” after this Steve finished his phone call and virtually collapsed in tears in the kitchen, feeling drained, not believing what has just happened. Hey Lew, just to fill you in, single weirdest experience of my 51 years. All is good, you’ll feel the change tomorrow, a different house. We had a very scared, very upset and agitated little girl who has now crossed to the other side…I took her, hand in hand to her grandmother….The energy Den picked up, was her standing in the corner of our bedroom above the cellar…..she didn’t understand what was happening….why all these people were in her house…but we weren’t there. The effect on me was literally..’out of this world’…we couldn’t leave her either….now she’s safe. Just when you think you’ve seen it all….think again. Auction day arrived, so much had taken place in the last 24 hours, I was prepared to be working beyond the auction to find a buyer, but we had 2 people register. Ali’s partner, who yesterday said he didn’t have his finances ready and wouldn’t be there and Ern who had only seen it on Tuesday and was buying for his brother from Melbourne who hadn’t seen it. The rest is history, because both parties bid and with some hard negotiating we managed to get Ern to increase his bid to $1.51m, providing the bidding didn’t reopen and it is sold. This was done to the delight and relief of us all. A great outcome, but one of the most memorable sales for me in 20 years. I was asked to look at a property which was not inspiring any interest. It was a large two story home with four bedrooms. I normally connect with the property by checking the underground water first. This was interesting as there were three streams crossing under the kitchen area. This would not be a health problem where it was as it didn’t involve bedrooms. I then looked at the leylines through the house. There were five, all aimed at the small bedroom next to the dining room. When looking into these further, they were all to do with business and from five years ago. I deduced this must be a home office. The agent confirmed that the owners had used the office but had only owned the house for two years. The leylines were 5 years old so the deal was done by the previous owners, and the last two owners had used that room as an office for their business. I asked what the room currently looked like. He said it had been set up as an empty bedroom. I suggested he put a phone and computer on a desk to suggest its business use and to explain the “office” energy present in that room.. He was under strict instructions not to advertise what it had been used for. We settled on taking anyone interested to the room and advising the potential buyer this room is wired for phones and computers. With this insight and approach, the house sold within a week. When I checked my floor plan I realised there was a bedroom downstairs directly under the kitchen, I rang the agent to check no one was using this room. Why? Anyone sleeping in this room would be sick as the three streams crossing were large enough to completely cover the area. Anyone living in that room would be at heightened risk a whole of body illness. Around twenty years ago, I worked with a Naturopath who understood and helped patients affected by geopathic stress. Geopathic stress is basically where the frequency and strength of the energy in the earth’s magnetic field affects us in a physical way. Other forms of energy can also be deleterious to our health power line and faulty earthing can cause sleep problems. However, on this occasion the Naturopath was the one affected. She was unable to sleep in her own bedroom but had no problem sleeping in the spare bedroom. Interestingly, this was not an earth energy issue. I dowsed the radiation from her meter box on the outside wall of her master bedroom, it had Power line radiation from the meter so you had to be 6 meters from the box to be at a safe distance. While her bed was within six meters of the meter box, the spare bed was 7 meters away. An earth peg to ground the meter box fixed her sleeping problems. Her husband was very grateful. 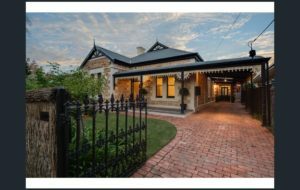 I was given the address and plans for a new fifteen block development in Adelaide.This now empty block of land had recently been a well-known and well-loved old mansion. The local community were against the development and the situation was getting quite heated, even spilling into the local news. The developers couldn’t understand the negative outcry and brought me in for some answers. After dowsing the plan, I found a pattern. While there were a number of ley lines in the area, the vast majority (around 85 percent) were aimed at a spot between blocks 3 and 4. At this point, I went back to the developers to find out what was originally in this spot. A large water fountain, sitting in front of the mansion, was the answer. So that was the key – the fountain! Our subconscious mind works in symbols and the symbol for this land was the fountain. When the locals thought about this new development, they subconsciously thought of the (missing) fountain. I advised the developers to find the fountain and put it back in its rightful place. They had donated it to the council who had subsequently lost it…all ten tons of concrete! As reinstalling the fountain was no longer an option, I advised every piece of paper work, signage or advertising feature an image of the fountain. 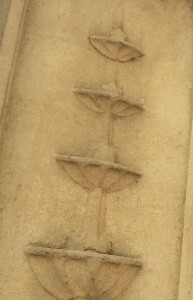 They took this advice on board and even moulded the fountain image into the concrete posts surrounding the development. Suddenly they were out of the newspapers, the local resistance subsided, calmness was restored and the blocks sold. 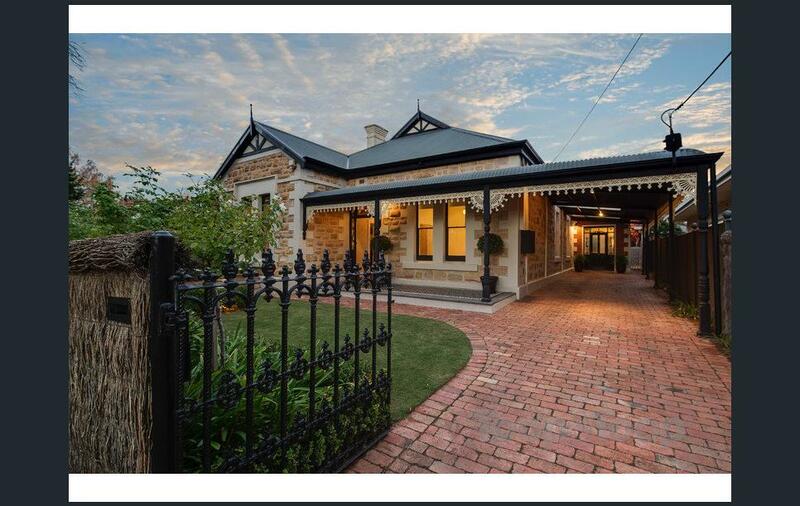 Recently, I was asked to look at a beautiful old bluestone two-story home in a prestigious suburb of Adelaide. This house had been up for sale for four years and presented by three different real estate agents. All had failed to sell it, or even garner any significant interest, and no one could understand why. I took a look at the property’s energy and found… nothing. Absolutely no ley lines – zero, zilch. There was nothing good or bad in the house. This lack of energy could be expected in a greenfield property in which no one had ever lived, but not a classic old home. I have come across this before where a person has “cleared” the property, taking out both the good and the bad energy. Using dowsing techniques, I worked out that the clearing had occurred only one year ago while a strong negative lay line had been formed six years ago in the second bedroom. I coached the real estate agent to address this unusual feeling directly – to acknowledge that the inhabitants of the house had cleared everything out completely after a sad event, and as a result it was now a blank canvas ready for your family to move in and make it your own. Two days later, During the very next open inspection, I received a text to say my advice had worked and the house was under contract. It was a very fast turnaround after 4 years of attempts to sell by three different agents!! While repairing a phone system recorder at an Adelaide Taxi company headquarters, the manager was talking about how his house was not selling. He knew I had three brothers all in Real Estate and could I ask one of them why isn’t it selling. I volunteered to have a look at it from a dowsing perspective, as I had been successful before. To say he was sceptical would be a gross understatement. Ley Line aimed at the third bedroom, exactly where the bed was positioned. Once found, ley lines can be dated and the direction and distance to the source determined. For this particular lay line, the negative ley line began 9 months earlier. The negative energy was directed into the third bedroom from another person 3.6 kilometres away in a south east direction. The ley line was still current (not historic) and quite intense and was personal in nature. As it was current, I decided to look up the house address on a street directory map and dowsed the ley line from the house to a prestigious private boys school three pages away. With this insight, I called the owner. I asked him who sleeps in the third bedroom? His teenage son. Does he attend this particular school? Yes, he’s third generation. Has he been complaining about someone harassing him at the school? Yes, but we thought he was exaggerating. My advice was that nothing good can come from someone thinking about your son in a negative way, at night, while he’s in bed asleep. I warned him he should act to correct this situation. Before broaching the subject with his son, however, he must be prepared to take action. To bring this up without taking it seriously would be worse than doing nothing at all. I suggested they sit down with the boy and ask him what was happening at School and then offer unconditional backing for whatever he wanted to do. The son was very relieved to hear this and said he never wanted to step foot in that school again, His mother went to the school and picked up his belongings telling the school he would not be back. Within a few weeks, the son was in a new school and harmony had returned to the home. Their son was back to normal and they could not believe how much happier the entire family was. They realised selling the house was a sub conscious, kneejerk reaction to the tension in the family. Once the son felt loved and empowered the tension was gone and they felt no need to move house. Several years ago I spoke at The Dowsers Club of Victoria. After the meeting I was contacted by one of the members explaining she was having problems selling her farm on the Mornington Peninsular. She sent through a floor plan, which had two ley lines (thoughts) aimed at either side of the bed in the master bedroom. I then checked how long since the ley lines were put in place. The ley line to the right hand side of the bed was created eight years ago. The ley line to the left hand side of the bed was only 18 months old. When I asked the owner who slept on the right hand side 8 years ago, it was her. Eight years ago, she told me, her husband, and the father of her three children, had left her for another woman. When I asked her who slept on the left hand side of the bed 18 months ago, she said it was her as well! She had changed to the other side of the bed when she re-married and 18 months ago her ex-husband had starting contacting her wanting to come home. Both lay lines were being caused by her ex-husband and this negative energy was hurting the sale of the farm. Her first reaction was to ring him in America and give him a piece of her mind ! I advised her that that was unlikely to remove the negative ley lines (it might even strengthen them). Rather, she could dissuade the energy by subconsciously sending a message to her ex-husband, thereby creating a positive ley line of her own. I often use an impeccable thought in situations like this. An impeccable thought is a positive and perfect thought that can transcend to another person’s psyche. My favourite is “I honour the light and life in you. I am grateful to spend this time and space in love with you”. I told the farm owner to direct an impeccable thought toward her ex-husband. Her impeccable thougt was “I honour the light and life in you and am great full for the life we had, the three kids we raised and the farm we built, but it’s time to let the kids and I go free”. She concentrated on this thought several times over the next few days in order. The next time I talked to her, an offer had been made on the farm, but it was lower than she wanted and she asked my advice. This time I suggested the following impeccable thought: “whoever you are out there, I have cleared up the issue clouding my property with my ex-husband it is now ready for you to purchase and move into, but I do need $50,000 more”. The next day she got the call from her agent “you’ll never guess who just called me. It’s those people from a few weeks ago enquiring if the farm was still on the market. They wondered if they offered more money, would that seal the deal?” And the amount they offered was $50,000.The farm owner had goosebumps when she signed the contract and called to tell me.